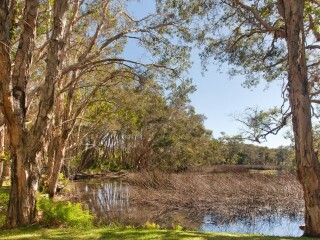 As extraordinary as any site around our coastline, it's hard to comprehend that 'Laguna' even exists. 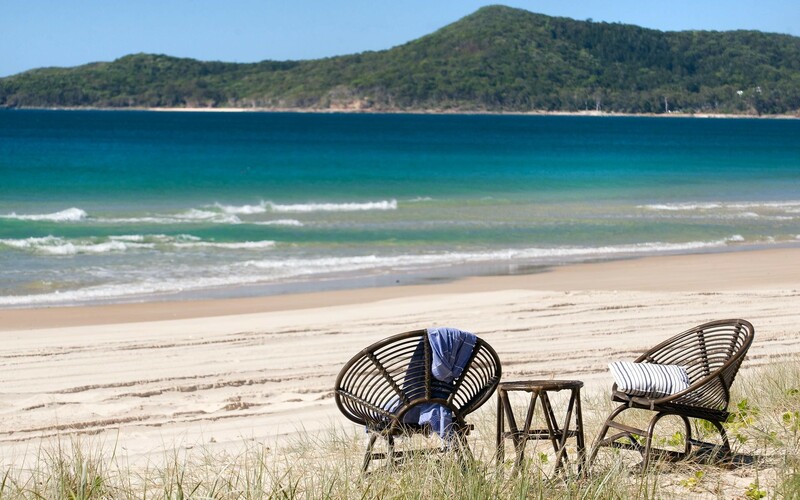 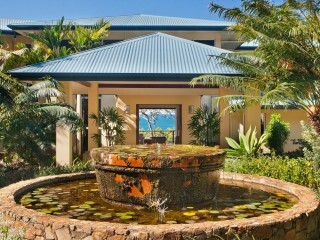 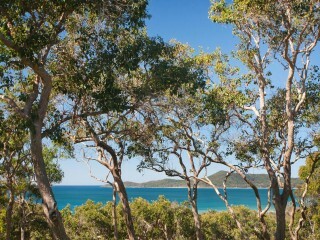 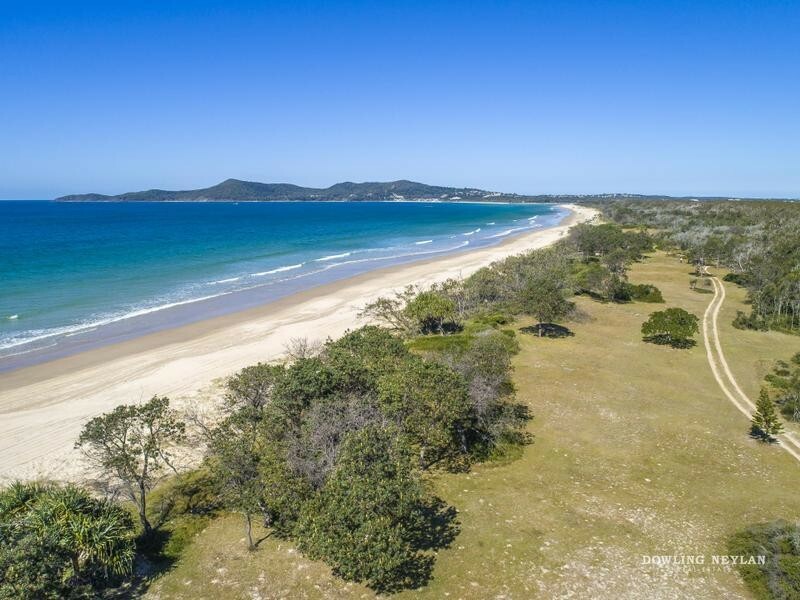 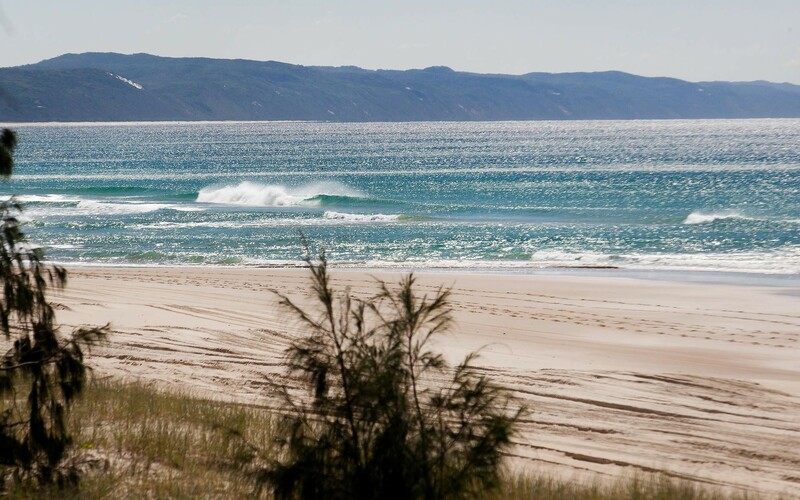 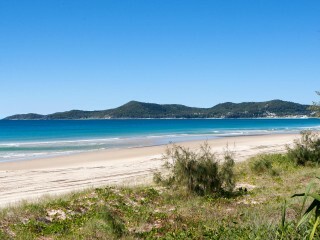 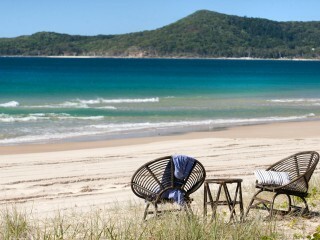 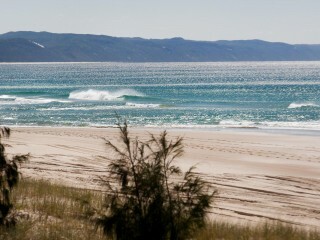 The ultimate alternative to an island with unparalleled private beach frontage of half a kilometre, unique along the east coast of Australia. 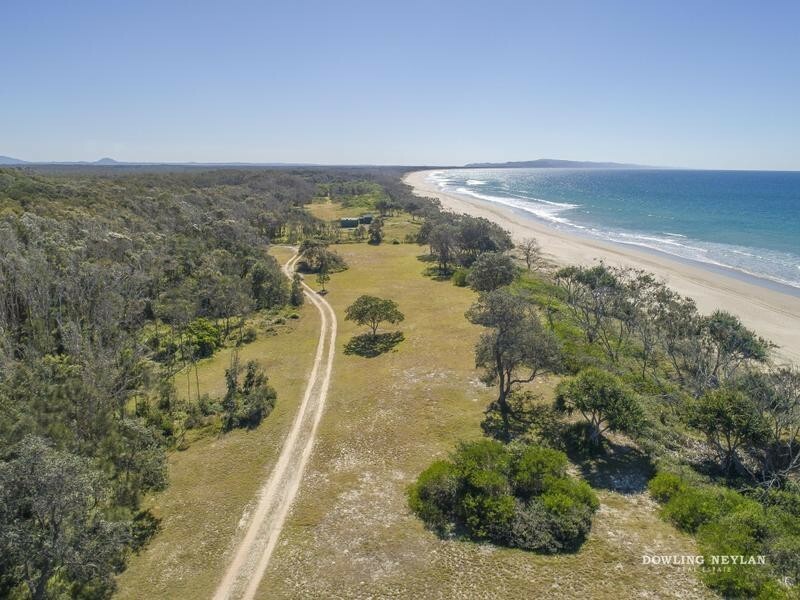 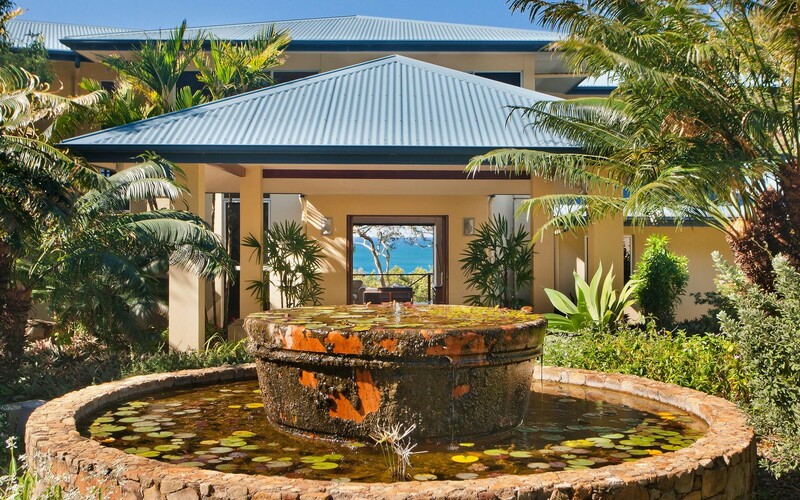 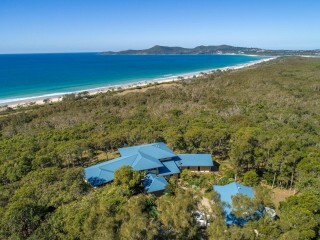 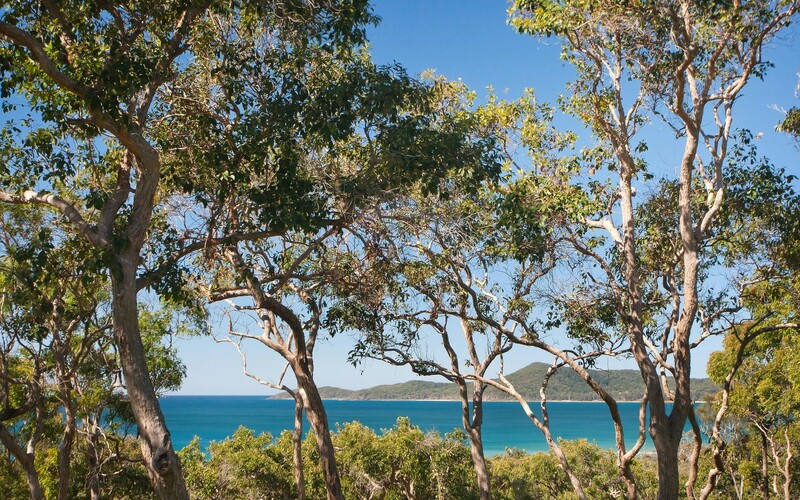 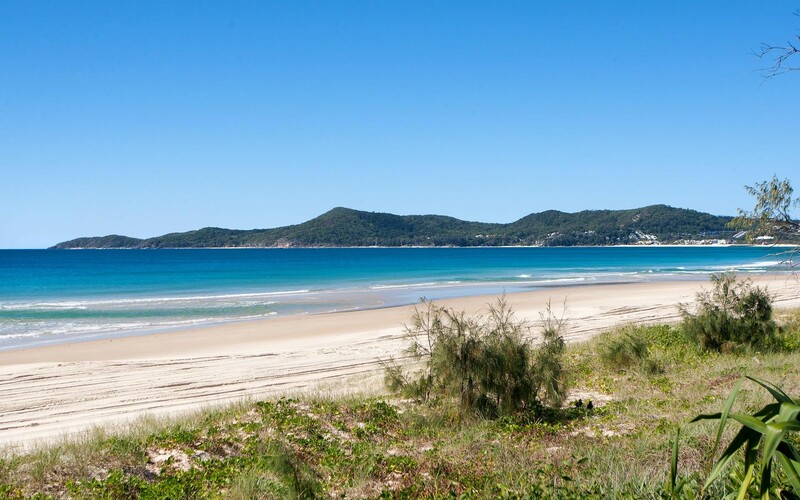 While the 31 hectare (77 acre) property gives the crucial element of seclusion, you are far from isolated with the beach side town of Noosa just a short drive away. 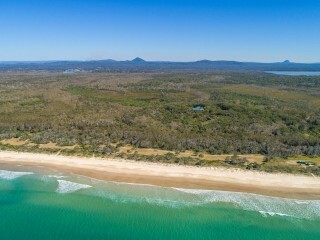 Surrounded by Nature Reserves and National Park, amongst vast tracts of coastal heath, pockets of Eucalypt and Melaleuca forests, and fresh water lagoons has at its centre an uprising of basalt which soars 34m above the sea and surrounding lands, forming a grassy knoll dotted with trees offering uninterrupted views and capturing the cooling coastal breezes; a landmark of local significance and historical value and the foundation for a home like no other. 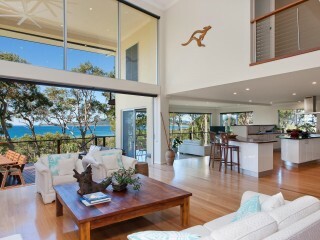 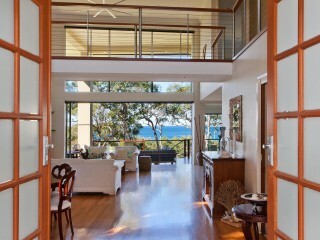 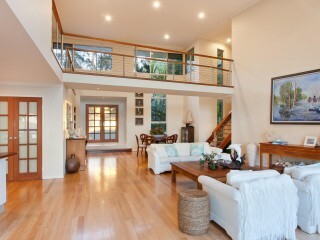 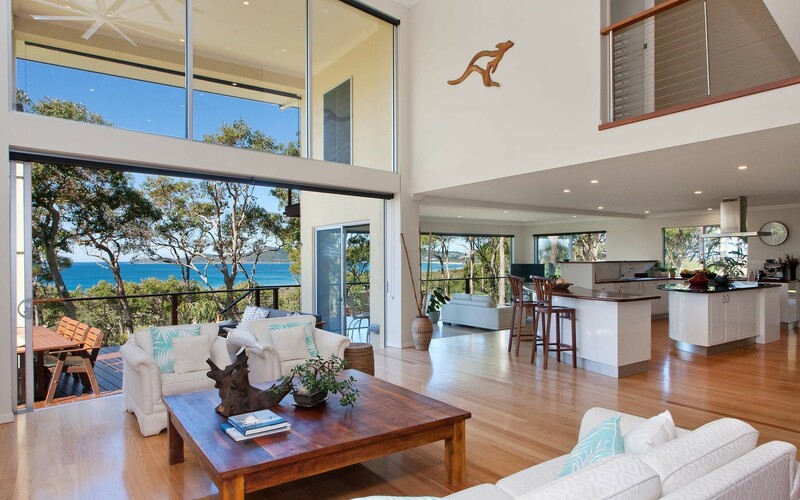 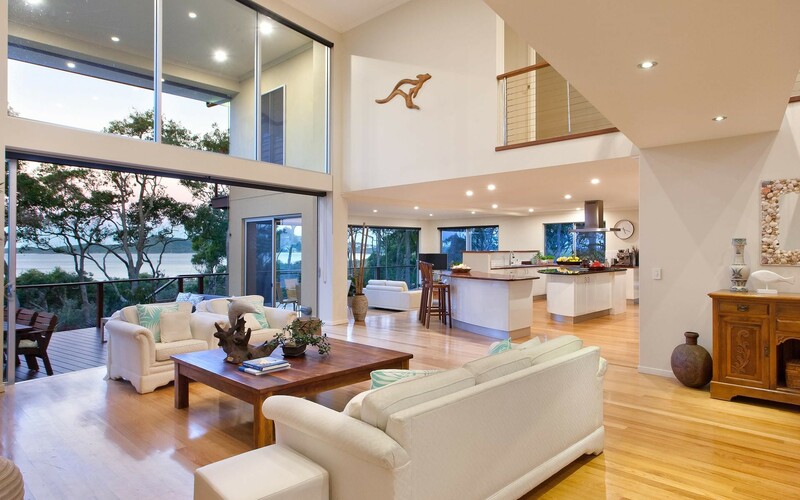 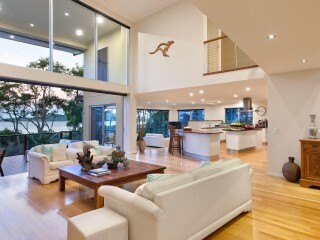 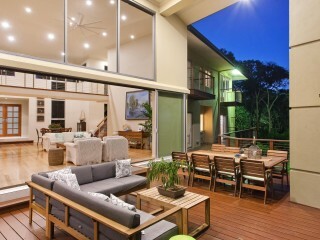 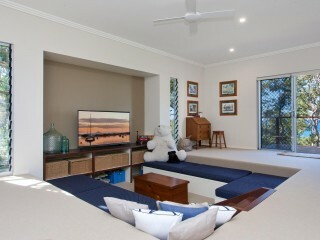 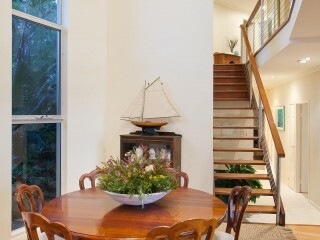 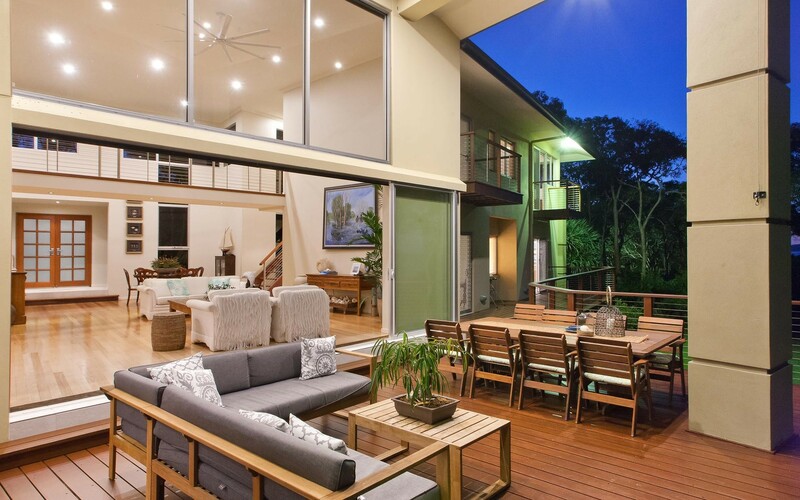 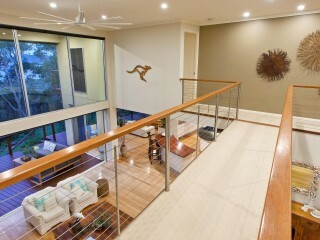 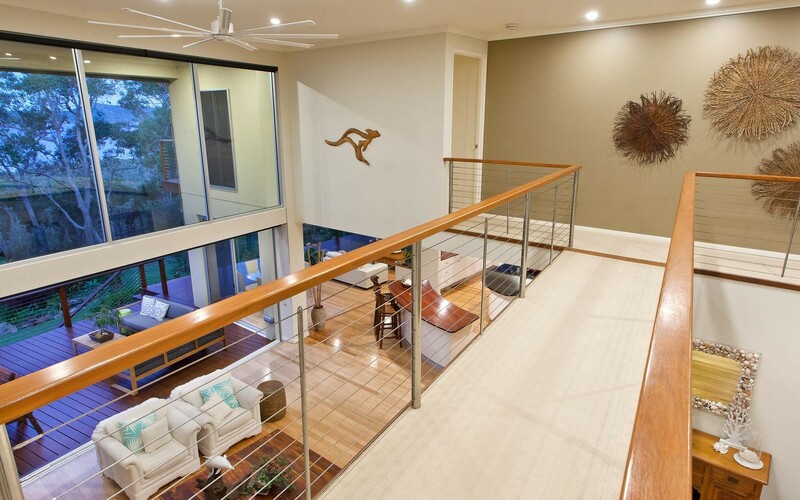 Built on the highest point on the Noosa North Shore at 34m of elevation, the contemporary home takes advantage of mesmerizing uninterrupted views from as far north as Double Island Point, across Laguna Bay to Noosa National Park and around to the vibrant Hasting's Street precinct and Main Beach. 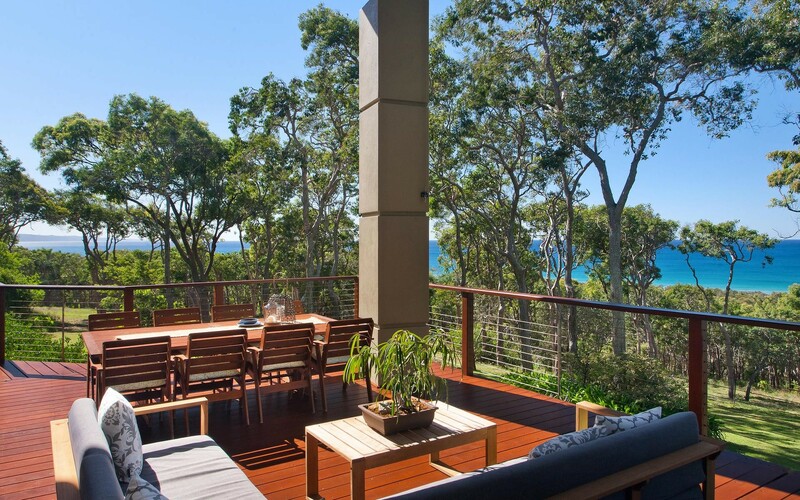 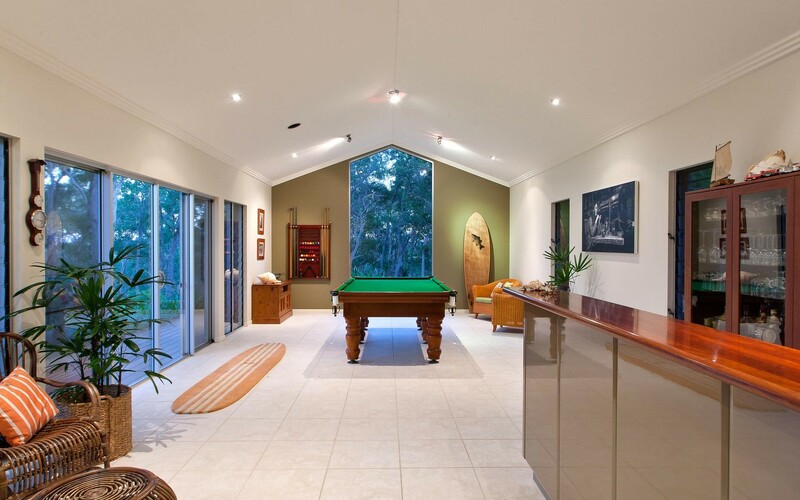 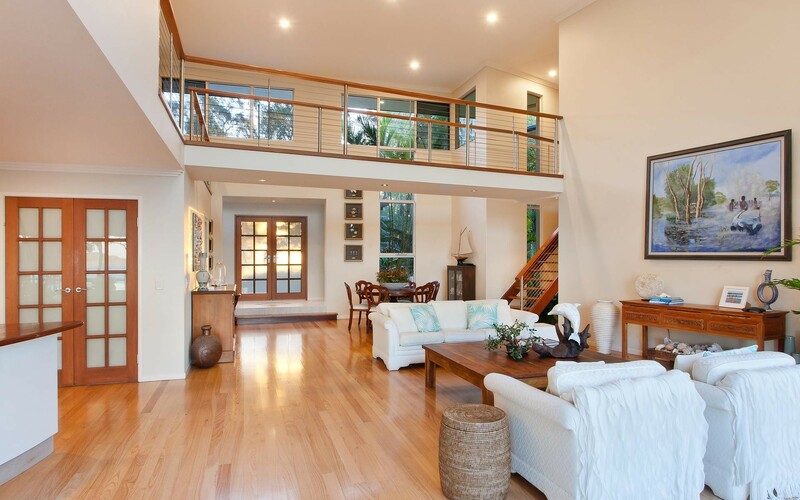 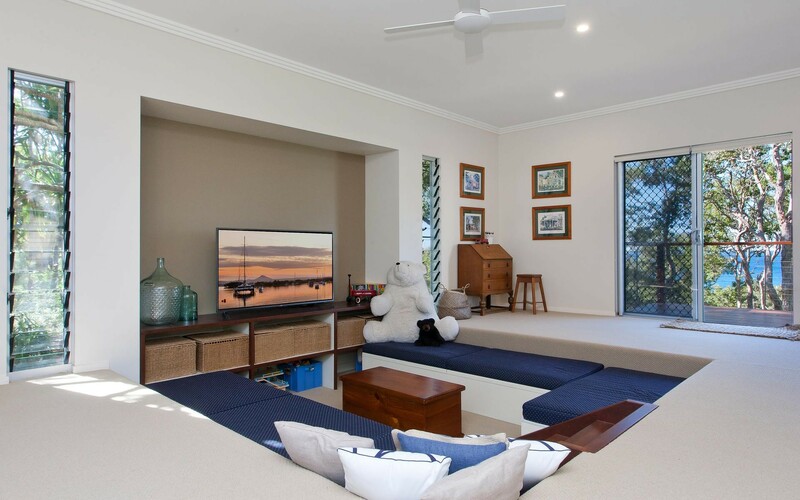 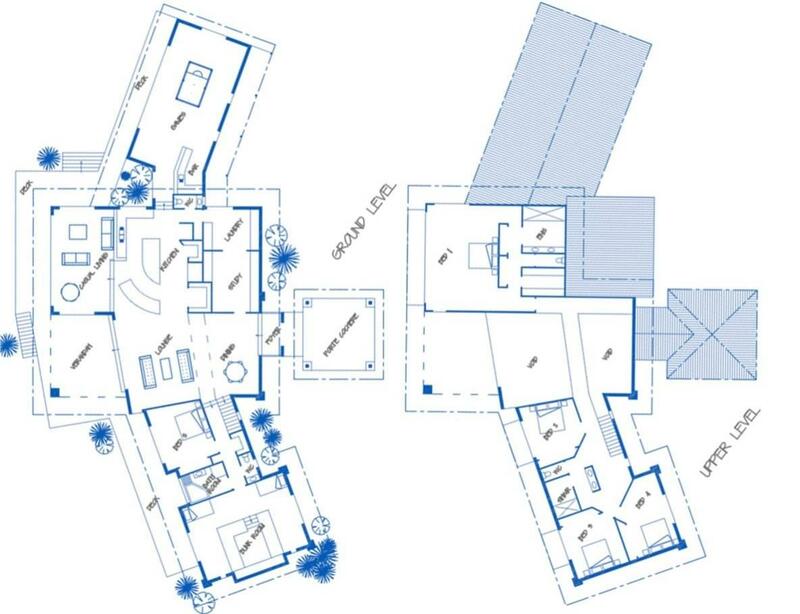 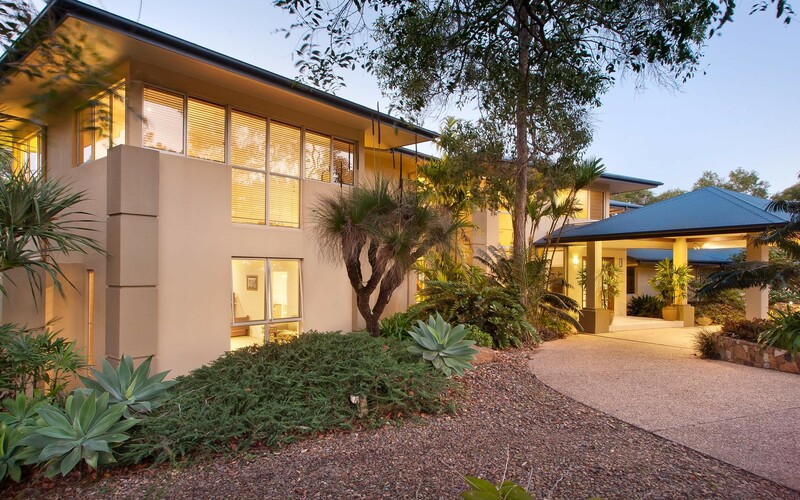 Careful consideration and design ensures that the substantial residence integrates seamlessly with its surroundings, this has been done to such a significant standard that even many long term Noosa locals are unaware it exists. 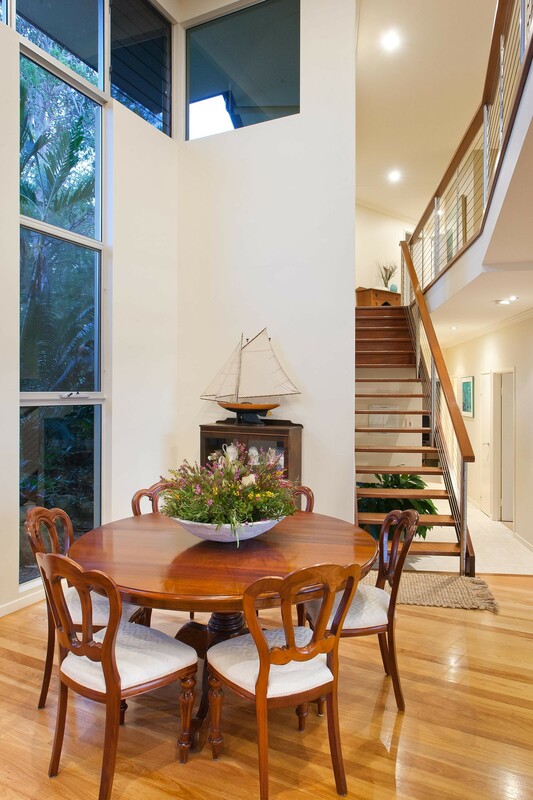 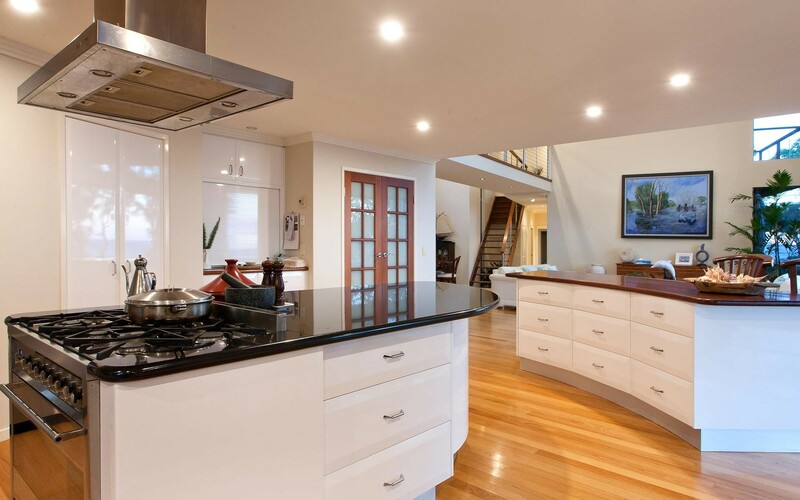 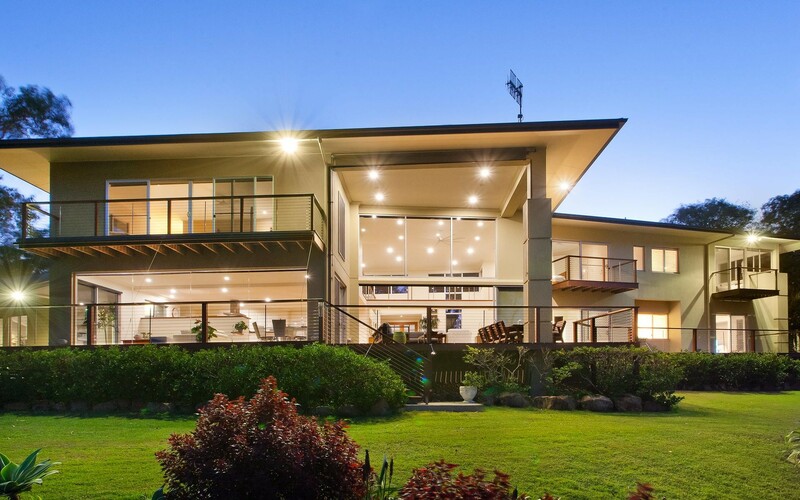 The home has been built to the highest standards offering the ultimate resistance to the coastal environment with materials that are rarely used in residential construction but often specified in coastal high-rise construction. 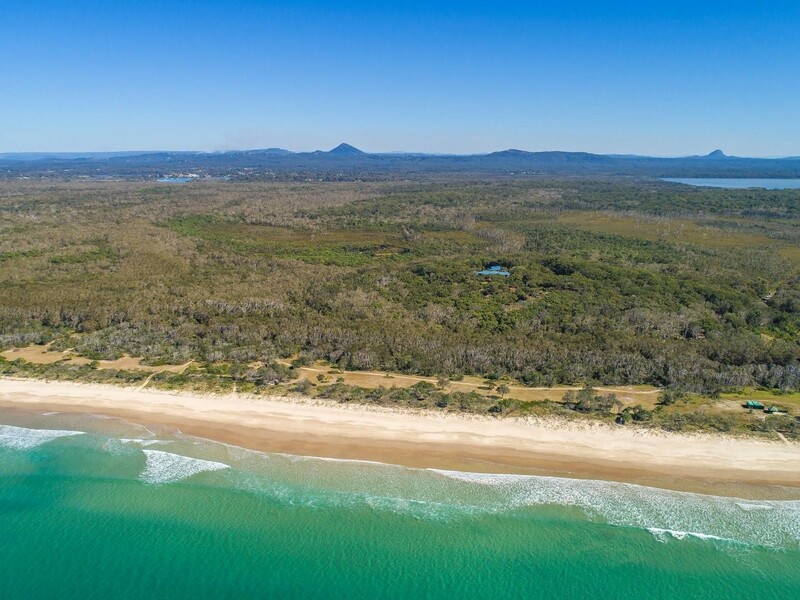 It is orientated to take advantage of the cooling north easterly sea breezes that prevail in the summer months, yet protected by the national park and tree canopy from the unwelcome south-easterly in winter. 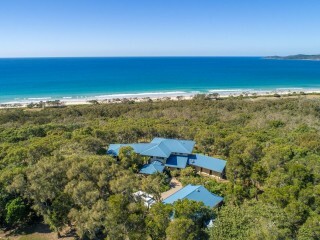 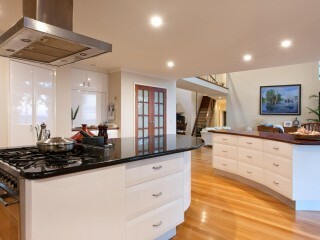 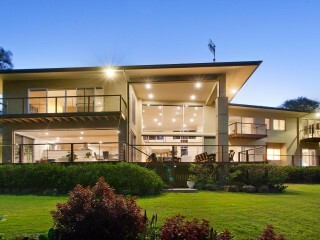 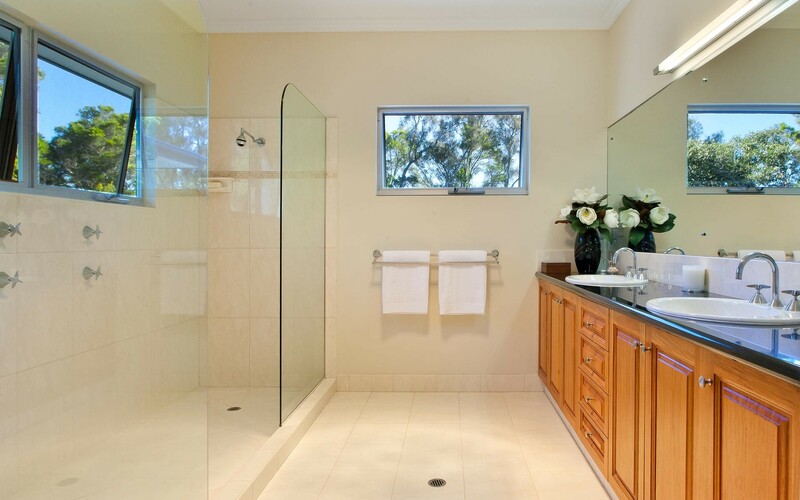 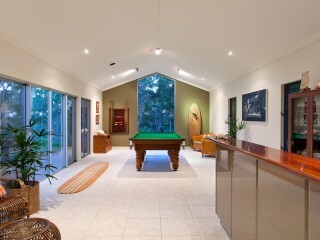 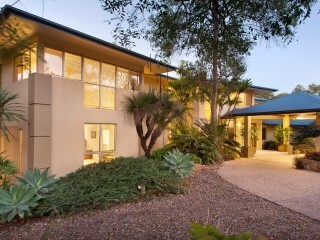 With unrivalled privacy and seclusion it is actually located only 3 km from the global tourism destination of Noosa, with its world class beaches, dining and boutique shopping, myriad of drawcard events, enviable climate and easy links to capital cities, you will start to appreciate just how unique this property is. 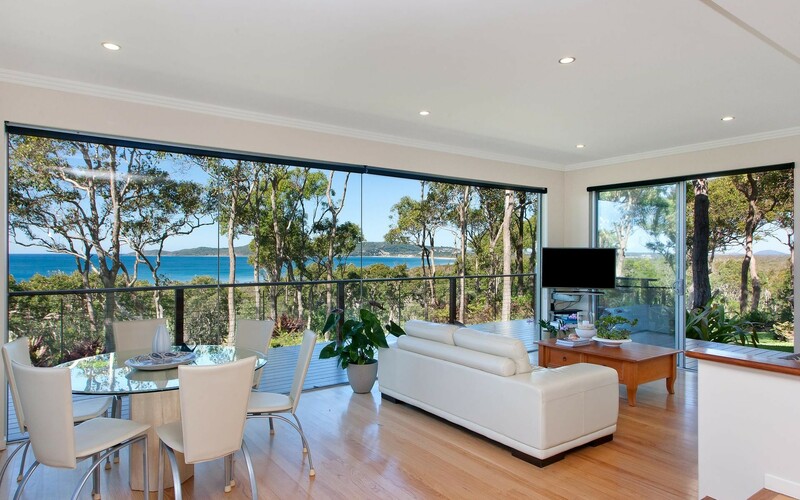 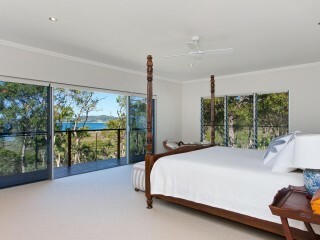 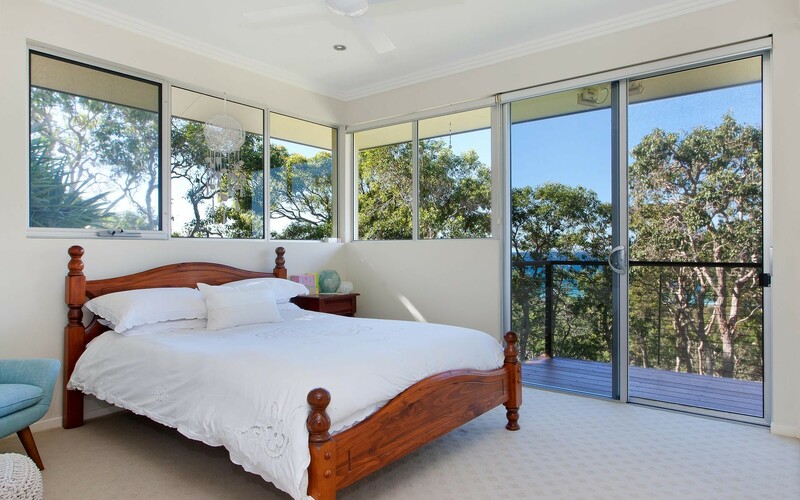 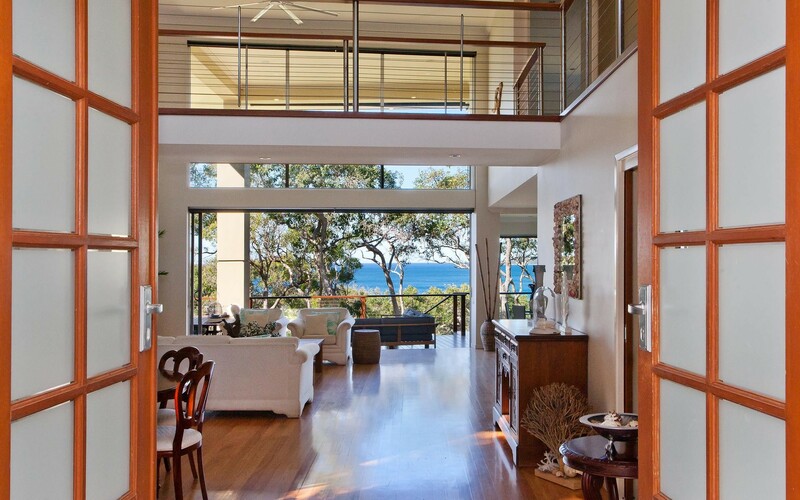 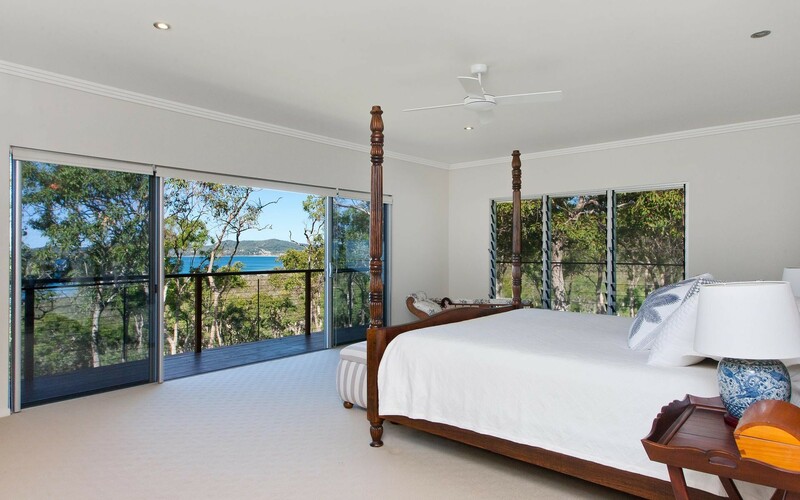 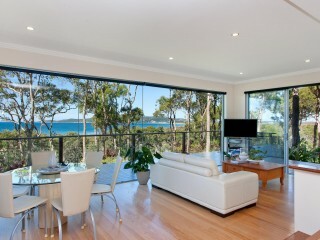 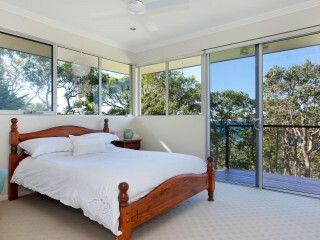 Succumb to the sound of rolling surf and soak up the views from throughout the house and decks which take in the points and bays of the Noosa National Park, iconic Noosa Main beach, the Noosa River mouth, the whole expanse of Laguna Bay and North along 60km of pristine beach to Double Island Point and the Cooloola National Park gateway to World Heritage Fraser Island. 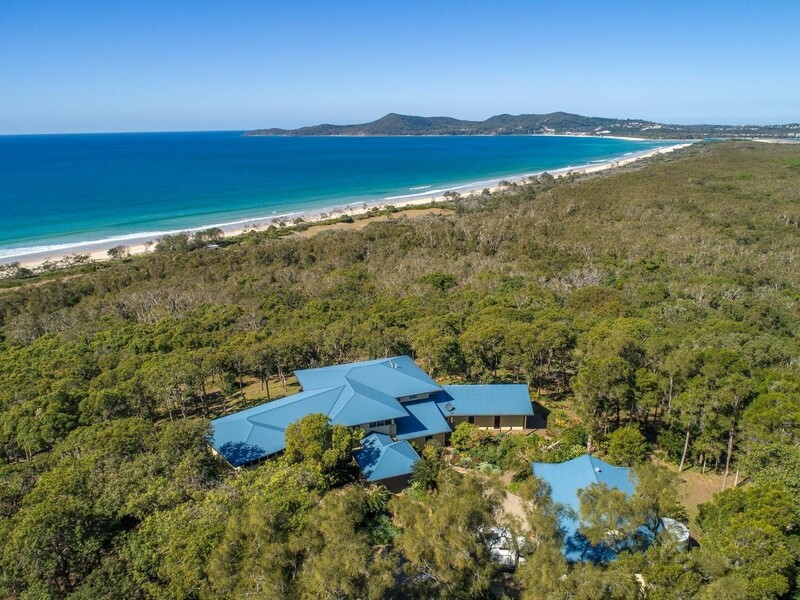 Laguna bay is a sheltered haven for dolphins and a favourite resting spot for migrating humpbacks which you can watch from the house, while the lawns play host to resident kangaroos. 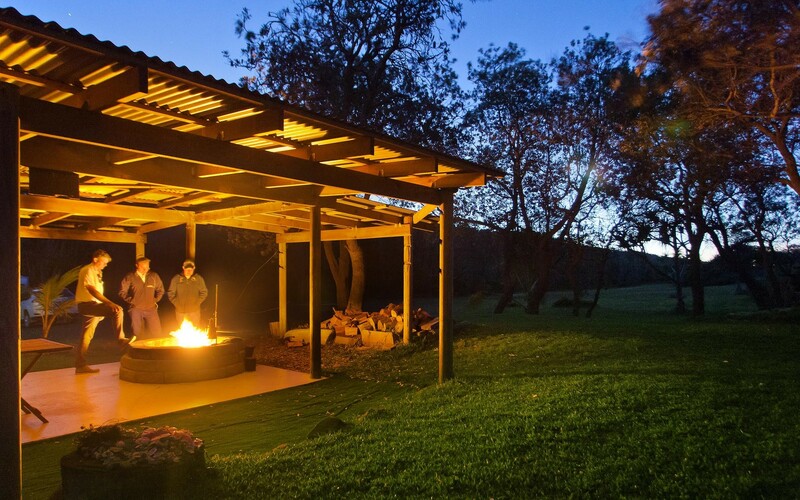 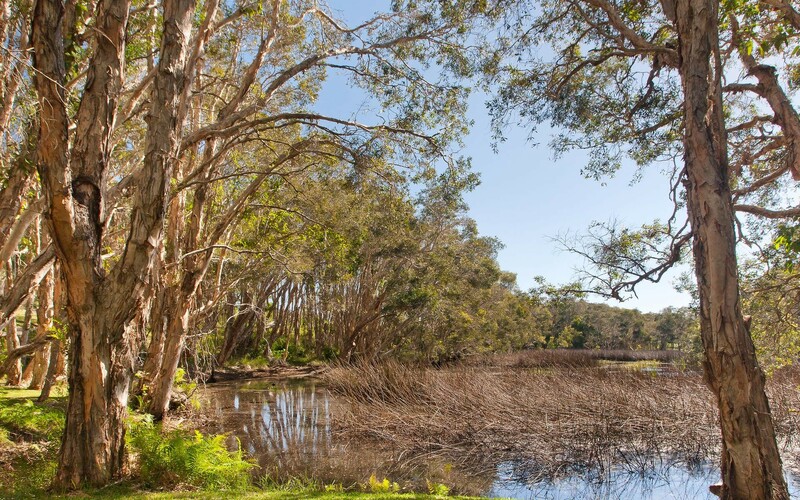 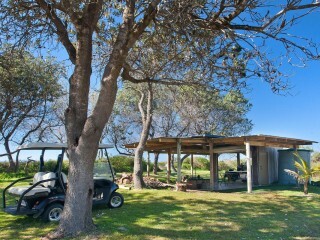 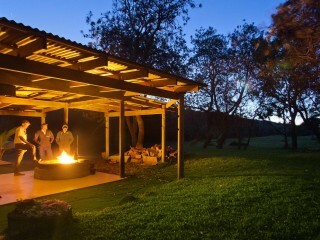 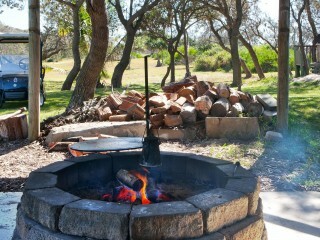 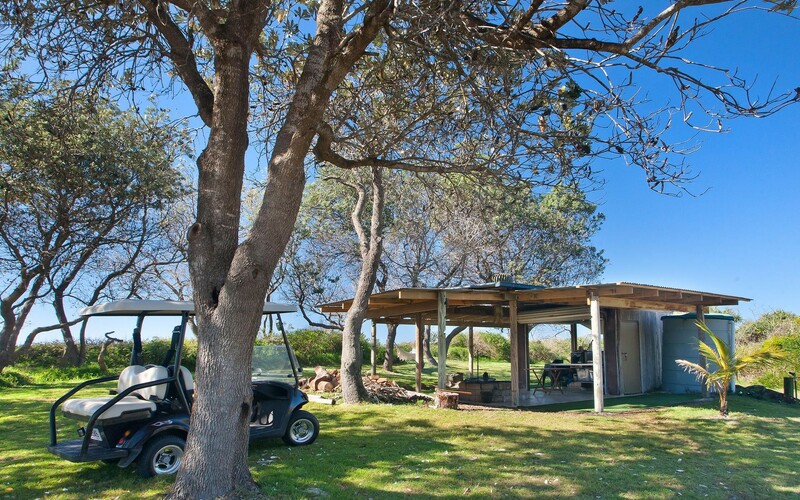 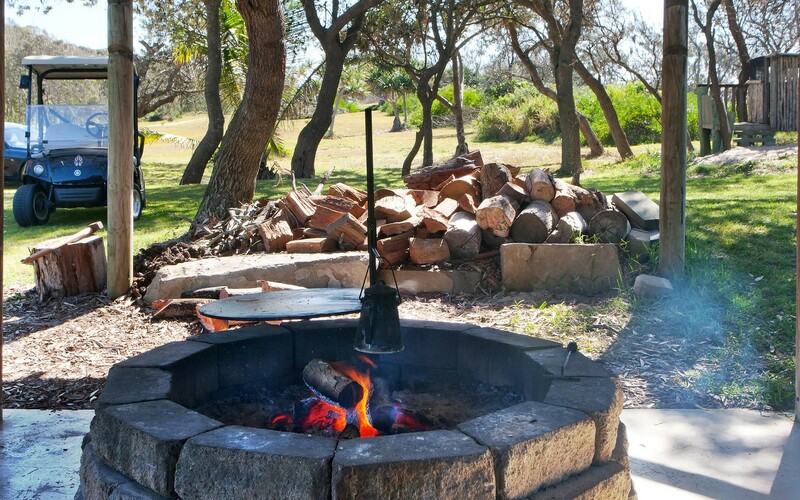 Surrounding bushland creates a haven for wildlife and requires little maintenance, large grassed expanses tucked behind the dunes provide ample space for hosting events of any nature and scale. The dunes lead down to expanses of private white sandy beach where consistent breaks offer the ultimate crowd free experience to surf, kiteboard, fish, horse ride or relax on the dune-top deck, this is a backyard like no other.